This 1974 classic which called a choreopoem, was conceived just two years before Penumbra Theatre was born. From its humble creation in 1974 to critical acclaim on Broadway, Ntozake Shange's Obie Award-winning choreopoem has excited, inspired and transformed audiences across the country. The literary luminary's fearless prose vividly paints intimate portraits of the pain and jubilation that women of color experience from girlhood throughout life. Shange was groundbreaking in her efforts to shatter the silence that protected abusers of women. For Colored Girls Who Have Considered Suicide/When the Rainbow is Enuf is a brave reckoning, a celebration, a healing ceremony and, perhaps most profoundly, an example of the awesome power a chorus of women's voices can have. 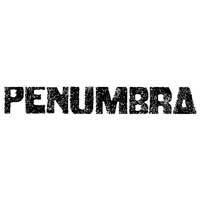 Watch dance, music and poetic monologues combine at St. Paul's Penumbra Theatre.